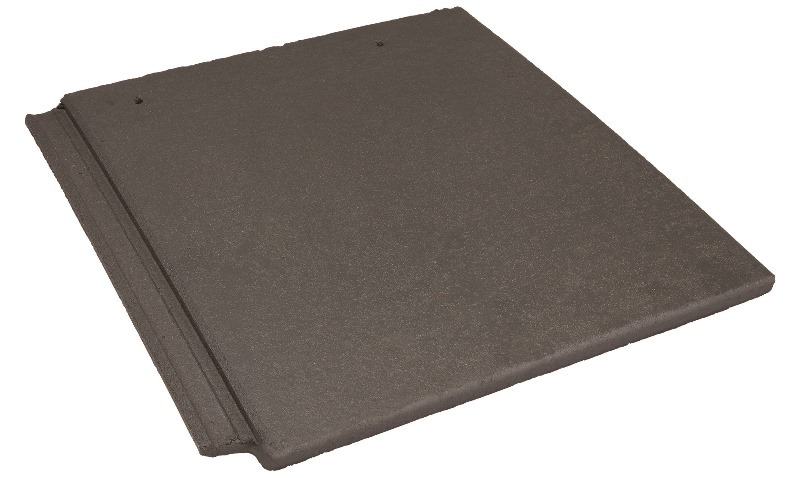 Forticrete has been granted three UK patents for its SL8 large format roof tile. A manufacturer of concrete roof tiles, architectural masonry and walling and cast stone has been granted patents which cover the camber of its SL8 tile, interlocking design and features and dry verge design. The patent for its dry verge design includes the term concealed guttering as the tile channels water to the gutter. The SL8 roof tile was designed to meet the increasing demands of the roofing market. With just eight tiles per square metre needed it provides greater coverage with approximately 20% less tiles required per roof. Additional benefits include its thin leading edge which creates an impressive visual characteristic. John Lambert, Managing Director of Forticrete, commented: “Forticrete has a long history of introducing innovative products which offer building efficiencies. Our SL8 roof tile is one of these and we are delighted to have achieved these design patents. In designing the SL8 tile, we listened to what our customers wanted; the result is an innovative roof tile that meets market demands. It reduces the number of tiles needed for a roof by up to 20%, meaning it is more cost efficient and tiles are easier to handle and lay. The aesthetics of SL8 are also much more appealing as its thin leading edge and dimensions go a long way to replicate real slate. Forticrete, part of Ibstock plc, is a leading manufacturer of concrete roof tiles, architectural masonry and walling and cast stone.